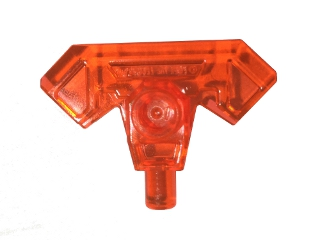 "Minifigure, Weapon Axe Head with Bar"
Of interest as this part is being used in the nose of the upcoming Speed Champions McLaren Senna to pretty cool effect. I'm not seeing the part in LDD, but Mecabricks does have it. Haven't seen any other part-number cross reference so I'm pretty sure it's not in the Ldraw canon. But it is present in LDD, as 22407. Look in the hand tool section, indicated by an axe. I've started preparing the ldd data for Ldraw. (2018-12-07, 16:46)Magnus Forsberg Wrote: But it is present in LDD, as 22407. Look in the hand tool section, indicated by an axe. Ah, you know I haven't updated my LDD in a while, so must have missed it. Thank you for working on the LDR. (2018-12-08, 11:30)Magnus Forsberg Wrote: Here it is. Sweet. Thank you very much!